Home Tags Posts tagged with "Rishika Bajaj"
It will probably take a while before you hear about Cakes Around The Clock. But when you do, be informed that it is a cupcake venture by 11-year-old baker Rishika Bajaj, who was inspired by the workshop of entrepreneur Ruchi Mohunta and happiness coach Murali Sundaram. This duo, who started the week-old The Business Academy for the Young (or The BAY), will be conducting two-day workshops for eight to 14 year olds who would like to start a business of their own. 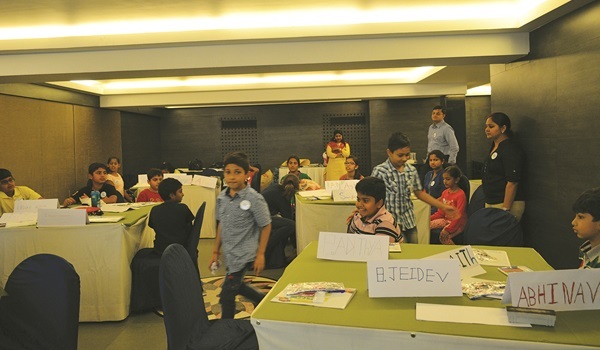 And going by the long list of ideas from the 23 children who participated in the inaugural workshop last weekend at Savera Hotel, we can expect a new crop of entrepreneurs involved in everything from milkshakes and lending libraries to bookmarks and art. Post modules on goal-setting, communication, understanding failure and taking responsibility (among others), the session winds up with a�?money management, where the children are taught to put aside separate piggy banks for investment, savings, play and charity,a�? says Mohunta, a former teacher who also runs an activity centre and outbound training centre for kids. The children even sit down and create their own business cards and promotional material towards the end of the workshop, after which the academy will continue to mentor and guide them for a year, helping with their business. 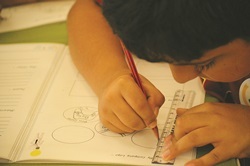 The duo are also planning to organise a bazaar at the end of the year, where children can showcase their start-ups. While the next workshop is scheduled for the end of March (maybe March 28-29 and once in two months post that), Mohunta shares that they plan to come up with a mentorship programme for those above 14, by tying up with places where the children can get hands-on work experience.